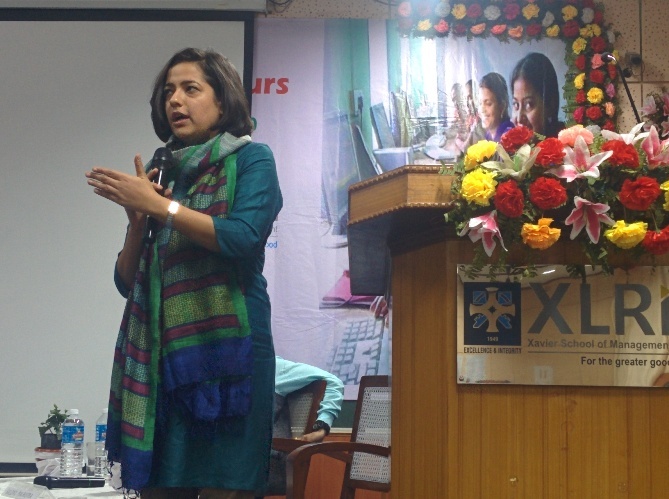 XLRI- Xavier School of Management recently hosted the ‘7th National Conference on Social Entrepreneurship’. 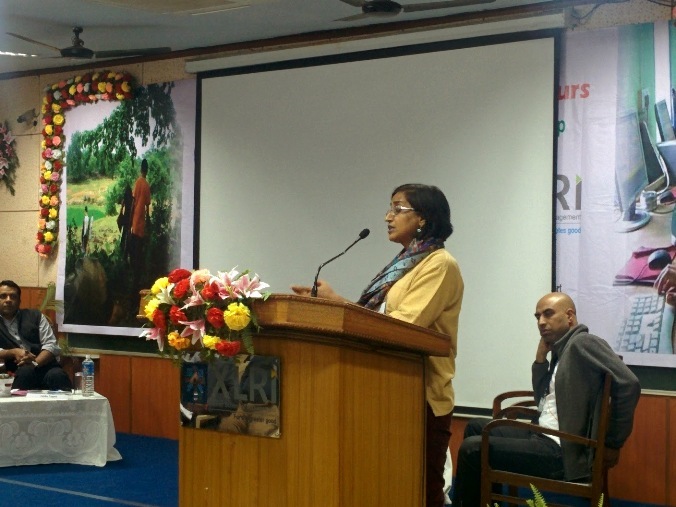 The 3-day conference was held at XLRI Campus, Jamshedpur from 30th January to 1st February, 2015. Conducted under the aegis of Fr. Arrupe Centre for Ecology and Sustainability and SIGMA (Social Initiative Group for Managerial Assistance), the 7th National Conference on Social Entrepreneurship was based on the theme - ‘The Young Changemakers: Youth as Social Entrepreneurs and witnessed young professionals, social entrepreneurs and grass root change makers share their stories, challenges and innovations and discuss and deliberate on new solutions and partnerships along the 3 days. At the inaugural session, Fr. E. Abraham, S.J., Director, XLRI remarked, “I am delighted that the theme for this Conference this year is “Young Changemakers: Youth as Social Entrepreneurs”. We all know that throughout the history, social transformations have come through the initiatives and entrepreneurship of youth – be it the social movements, creation of disruptive technologies to change the society, and even winning freedom for nations. This is also a very relevant theme in contemporary India, which needs the energy and passion of the young generation to address some of the most critical issues which the country is facing. “We will facilitate and support dialogue and debate among educators, business, government, consumers, media, civil society organizations and other interested groups and stakeholders on critical issues related to global social responsibility and sustainability. Organizing this conference is our one such effort to facilitate dialogues among the key stakeholders in the development sector on this critical issue”, Fr. Abraham added. In the inaugural panel, Ashraf Patel, Co-Founder and Director of Pravah advocated for 5th Space, a platform where youngsters come together & perform grass root activities. Rahul Nainwal, Co-Founder, iVolunteer & India Fellowship, talked about a unique initiative in which 14 India Fellows are selected for one and a half year leadership program, while Anshu Gupta, Founder Director of Goonj, put forth a strong case for the need of ground level implementation of youth driven projects. He opined that currently it is one’s compulsion rather than a choice to give back to the society. The war of changing the society starts with winning the battle of improving the society first. The Day- 1 also witnessed other young professionals share their experiences. Ajay Murmu, a local youth leader works relentlessly for the betterment of the students in schools and computer education gave a talk on the various problems of the local community. Jagdish a student from XIMB shared his experience of starting his own venture while in college that helped village people understand Internet and mobile technology. Shruti Parija a TISS Graduate who works with Gram Vikas and is associated with Orissa Livelihood Mission and Yasmin Sharma a student of XISS, both emphasized on the potential of youth & how their mindset has changed after getting a glimpse of the real problems of society. The second day started with the theme on ‘The power of volunteerism’ which emphasized on the intrinsic motivation to bring change in society we live. Sonal Kapoor, Founder and CEO Protsahan works for protecting children from social evils like child prostitution and open defecation. Jithin Jedumala, Founder, Make a Difference makes a point that funders emphasize on scale while volunteers raise money and work for the core and fundamental change. Sujit Mahapatra, Founder Bakul Foundation believes in innovative ways by which power of volunteerism can be realized and Shweta Chari, Founder and CEO Toybank helps in realizing the dream of underprivileged kids by giving them toys from who can afford it. ‘Tapping the Unexplored Market’ was the theme of the second session which brings forth the business acumen and combines with the ‘spirit to help’ to brew a potion of social entrepreneurship. Ashmeet Kapoor, founder of I Say Organic has a vision of Health Environment Livelihood. Malvika Sharma, founder of Avika Online is helping the rural women to earn self-respect by training them and bursting the myth surrounding the incapability of our women. Piyush Jaju of ONergy is helping in bringing lights to rural household by his solar lantern. Rustam Sengupta of Boond is committed for the affordable energy access with innovative social experiments. The focus of the third session was ‘the challenge of sustainability’. Anirban Gupta of Dhriti promotes sustainable livelihood through development of micro enterprise value chain.Inir Pinheiro, founder of Grassroots is working towards establishing a network of village tourism by village communities themselves. Finally Saloni Malhotra, Founder of Desi Crew & Procraft Store is working towards knowledge based livelihood opportunities in small town and rural areas. The third day started with the theme ‘Innovators of Livelihood and Entrepreneurship’ in which three eminent speakers addressed the issue of sustainable livelihood to the marginalized section of our society. They were namely, Arindam Dasgupta – CEO, Tamul Plate Marketing Companyis also the cofounder of Dhriti, which is a rural producer and marketer of the high quality, ecofriendly, disposable, plates and bowls. Kumar Ankit – Co-Founder of Green Leaf Energy while he was a student in XLRI in 2009.The company works on the integrated value chain in biofuel and horticulture plantation, and was the first Indian company to do convergence with MGNREGA and link employment generation with tree plantation. Naveen Krishna – Founder & Managing Director, SMV Wheels aims to bring dignity to rickshaw pullers and pushcart operator through asset ownership and other value added services. The second session started after a brief tea break with the topic ‘The ecosystem creators’. Aarti Mohan, co-founder of Sattva, which started as an e-magazine about social impact and sustainability. Now, it combines media platform and consultation expertise in the areas of social enterprises and social development. 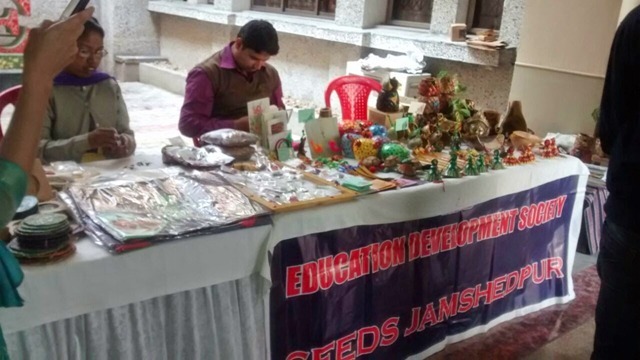 Ashutosh Kumar – Executive Director, Jagriti Yatra said that it is an annual national train journey lasting 15 days and 8,000 kms that takes 450 aspiring young entrepreneurs to learn from role model social and business entrepreneurs of India. Over last 7 years the Yatra has spawned about 300 ventures by its ‘yatris’. Finally the concluding talk was given by Pankaj Jain – Principle, Impact Law Ventures, a mission-driven, start-up law practice based in New Delhi and Mumbai, India which provides affordable legal counsel to start-ups, social business enterprises, impact investors and non-profit organizations. 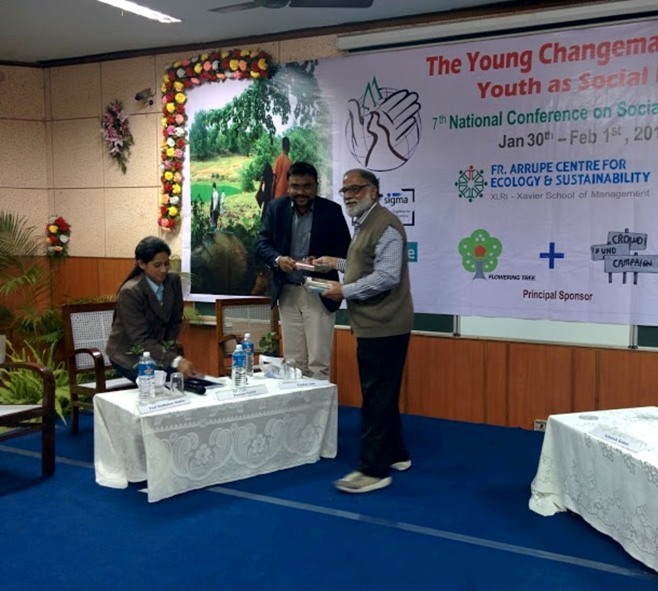 Prof Madhukar Shukla, Chairperson of XLRI’s Fr Arrupe Center for Ecology & Sustainability and the coordinator for the conference, said, “India is a country of youths: 27% of the population is between the 20-35yrs range and 18% make up the 25-35yr segment. While many young people continue to look for a secure job as a career, during past few years, an increasing number amongst them show an urge to do something different, something which is personally meaningful. Though many of them have grown and got educated in secure urban environments, they are acutely aware of the social disparities and concerned about them. They see these “problems” as a challenge to be addressed - and as an opportunity to make a difference. During last few years, many of them have chosen to move out of their comfort zones, follow their passion, and have created ventures to address the social issues which concern them. This year’s conference A highlight of the conference are the speakers, most of whom being in their 20s or early 30s”.